We stayed at Alex's cottage, and he never ceased to amaze us with his calm, soothing wonderfully-welcoming Highland greeting and ever-warm hospitality. His home-from-home cottage was impeccably clean, cosy and ready for our care-free, get-away-from-it-all holiday in Wester Ross, an area of true outstanding natural beauty, yet an easy stroll to the village of Poolewe itself. We love the area and all that Scottish nature can throw at us. And there is plenty to explore and discover: A wealth of wildlife (a haven for twitchers), rambling in the hills, beach-combing, visiting some of the historical sites, ambling around the world-famous Poolewe Gardens, and visiting some rather lovely restaurants or cafes (offering the freshest sea-food you could wish for). Croft Cottage is the perfect hide-away: Sit outside to enjoy the stunning views of Loch Maree and the surrounding mountains. This place is piece of Scottish Heaven, Alex the perfect gentleman and host. We went for the second time to spend a fantastic long weekend at Glencarron in May. Upstairs the bedrooms are very comfortable, with wonderful views and plenty of bathrooms even for a large party. With the grand dining room it's well worth the hiring a cook for larger groups. There is a games room, although most time was spent relaxing in front of the fire in the large but very cosy sitting room. Further pursuits including clay shooting and fishing can be organised by the Stalker, Eric. He also took us into the heart of the estate by 4x4 to see some impressive wildlife and spectacular views, although some great walking is accessible directly from the house. Further afield there are some decent pubs locally, but the trip to the the Badacrow Inn and Red Point Beach is well worth it. 1 Bayview Bungalow is in a quiet setting in Poolewe, a laid back holiday home in Highland, splendid for peace and quiet. 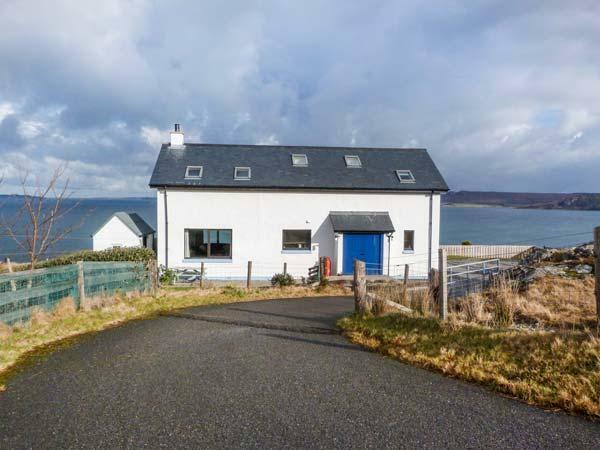 This tranquilly set home in Poolewe sleeps 4 with 2 bedrooms. 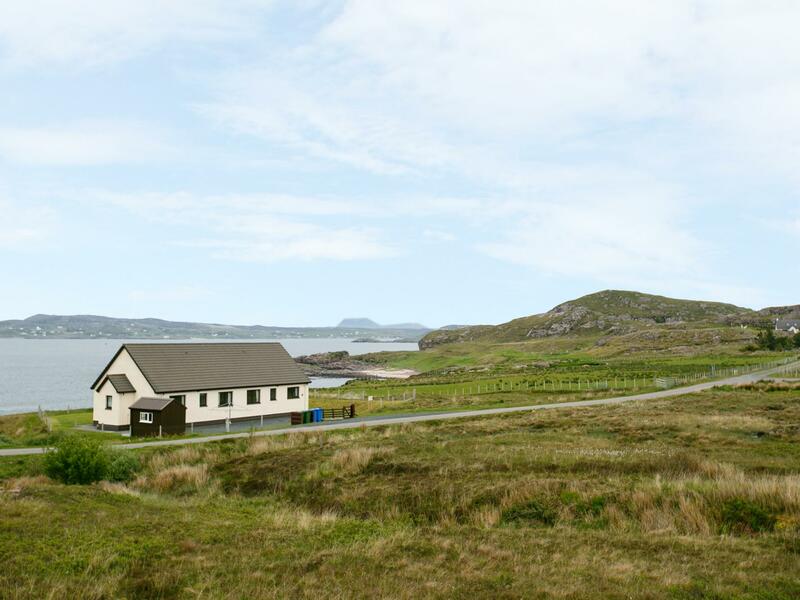 Coast House in Laide is located by the seaside in Highland, a self catering holiday home, accommodating 6 individuals with 3 bedrooms. Great for a beach based holiday, Coast House is a holiday cottage near the sea and Coast House comes with broadband access. Images and information for this cottage in Highland, Meriel is a 2 bedroomed home with 2 bathrooms in Laide. 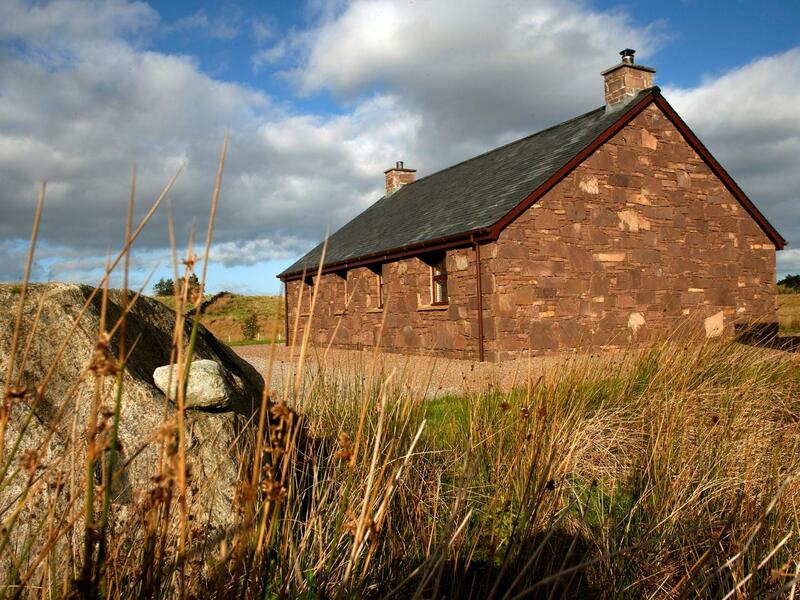 A dogs welcome self catering property in Achnasheen, Glenuaig Lodge welcomes 8 guests. Good for family holidays with your dog, see images and information here.